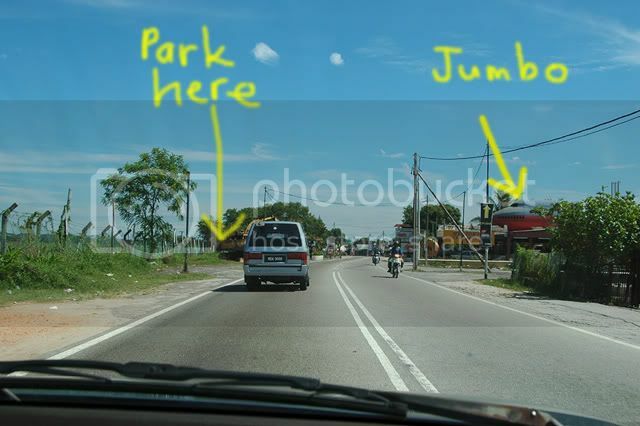 i present to you, DRIVE and SHOOT @ SUBANG. we start with get yourself a CAR.......!!!!!!! 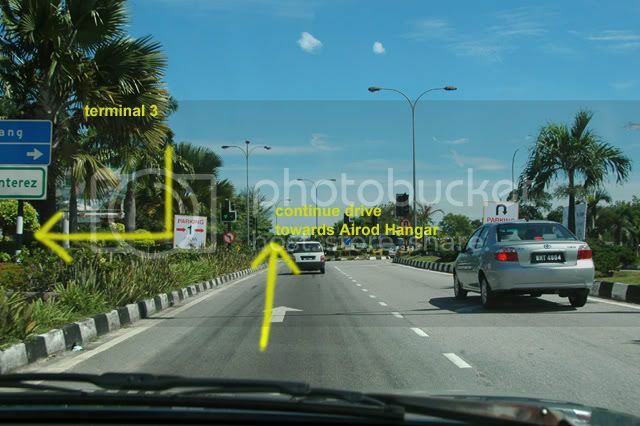 please continue drive ahead after the traffic lights, you will see Airod hangars on left. 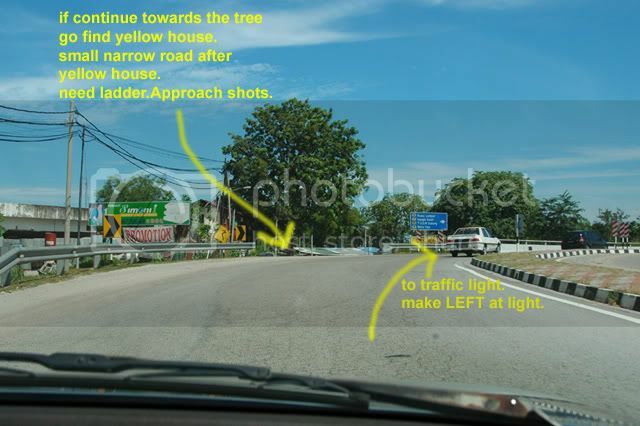 If drive straight towards the big tree, go down the road and make left, go find a Yellow house with blue roof, you will reach the airport fence...one small narrow road to the right, the fence are lower..bring ladder for approach shots morning only. 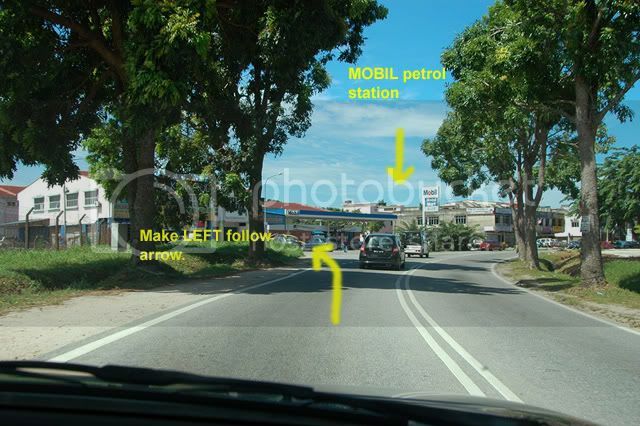 continue ahead...you will see a MOBIL petrol station, make sure before that after the row of trees ends on your left, make LEFT. 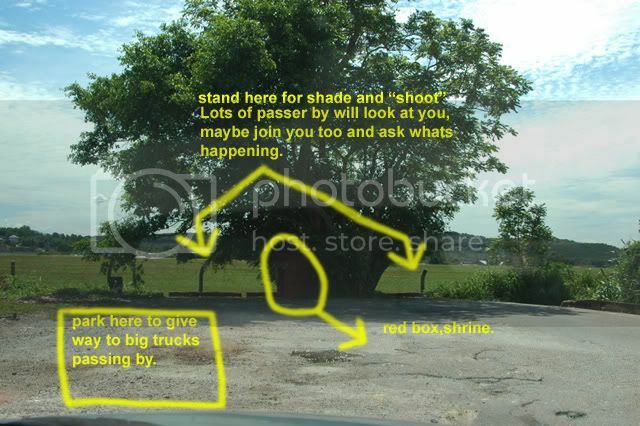 If you drive ahead again...go find this tree...200meters. ALRIGHT GUYS.....that is all. I hope this will help. Aahhh.... reminds me when we operates from SZB and I still live in Sungai Buloh. Pass thru part of the road almost everyday. This is one hell of a documentary .. Hehhe .. Very nice effort TK! 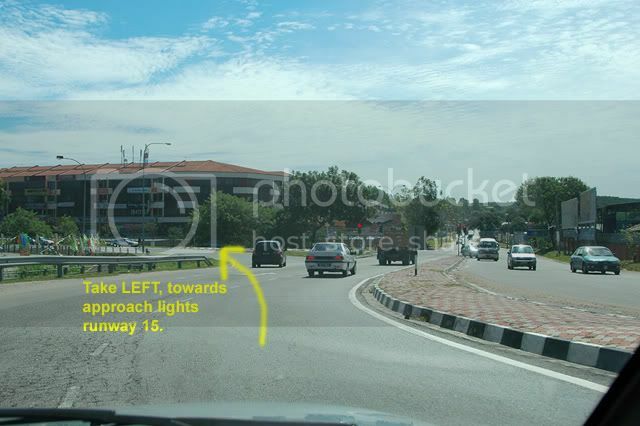 Now i am sure people will know how to go spotting at Subang! If any of you have some questions, please do not hesitate to ask me. 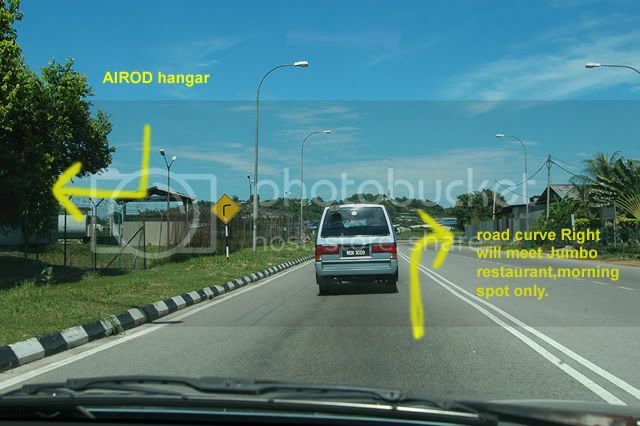 I hope there be more spotters in Subang after this. 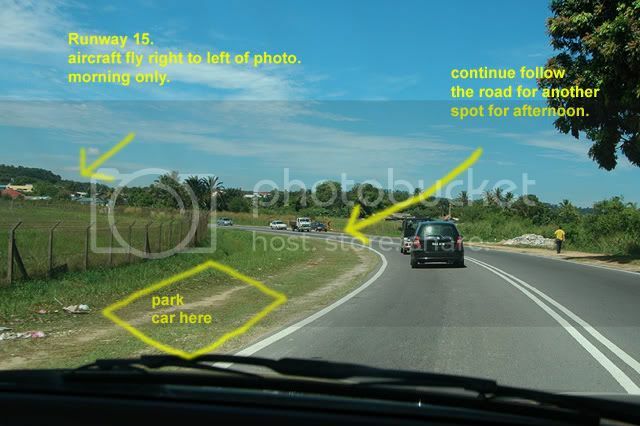 Thank you for the comprehensive photos and instructions on Subang spotting. I was there a few times but was quiet most of the time. 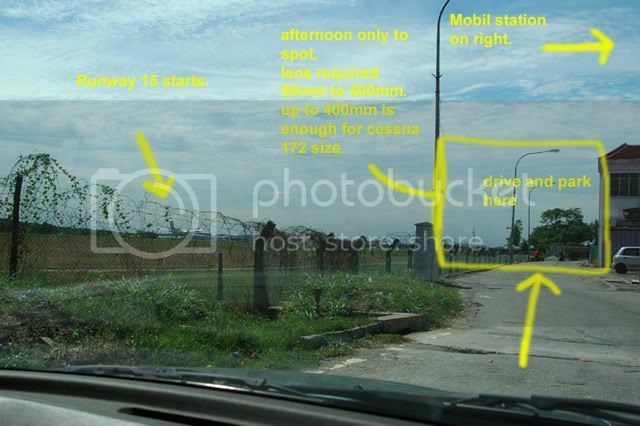 So far, what i got and others, thats all i think in Subang. Hope you will enjoy Subang. As for KLIA, where to spot...may come later. Need a BMW car and a Driver...hello Fendy...im talking about you. what the heck a Jumbo Jet doing on that roof ??? 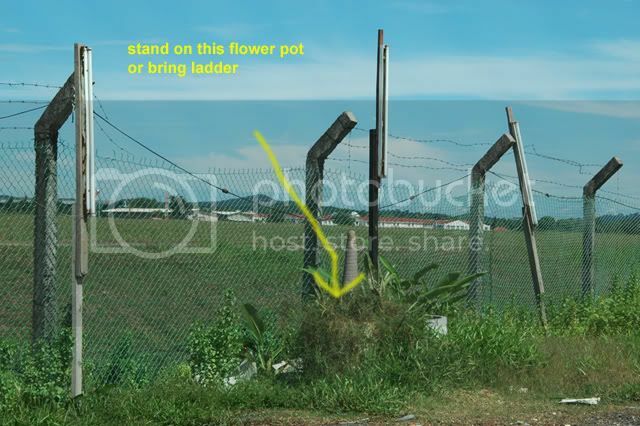 Where to Buy Junk aircraft in Malaysia ??? Can tell us when is the best time to spot at SZB so as to get MAS, Transmile MD-11, etc.? When does MAS ferry flights usually take place? Subang is F**king boring ! Sorry to hear that you dont get the planes you wanted at Subang. Subang is like a time bomb...the clock just ticking and no "BOOOMM", UNTIL an aircraft appears for approach, if its a good aircraft...Big time "BOOOMMM"..
Normal small small ikan bilis aircraft...No Boommm.. I have been spotting here for some time, with and without Jonathan, but whenever both of us are there...Sure curse one!!! But when times we get something... we are the happy ones to drive home. No schedule airline operating into SZB, meaning to say, what ever time of the day, just "pray" and "wait".. Even Transmile, yes they have some sort of schedule timings of their departure and arrival, but remember, they are Cargo operator, they maybe on time and maybe not. MD-11s ops are now mostly i see is in KUL. Do we have a member working for Transmile here, maybe can share some idea of Transmile ops...?? MAS airplane, no such thing that we can know when and what and who will fly in or out. Maybe i can check, but then..its never the right timings. Maybe some people know, but dont want to share. If you ask me...i dont know. As a reminder to all members and friends, Be careful with Subang, try to expect the unexpected...either there is or there aren't any traffic. As Gavin said...Boring...i find it interesting when we able to get something. The first day I went there was a Brunei A340 departure. It taxied in front of me and my friend!! Too bad I didn't bring a camera along as I was just "inspecting" the spotting locations as I was in Subang earlier of the day... Err...... Missed it!!! I observe from PJ that during evenings and late night there are lots of planes flying into Subang (well, the planes are flying towards Subang and could see them descending and ascending, can't be wrong). Most of them are jets. Am I absolutely right? ?